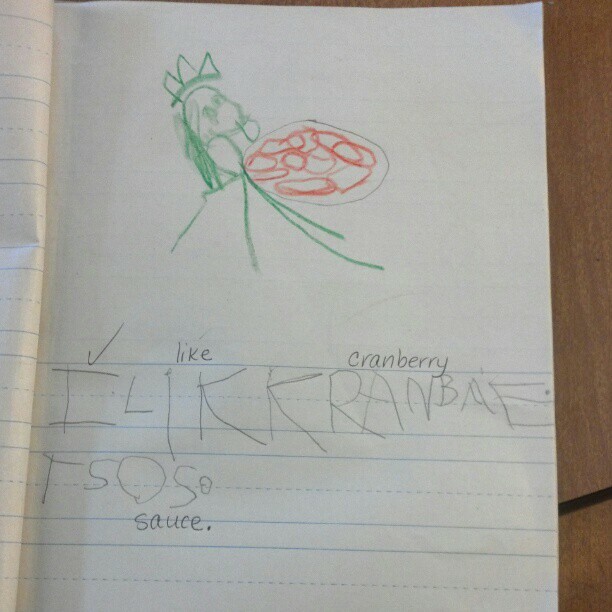 The monthly journals from Kindergarten came home yesterday. Each day the class sits down to draw a picture and write something about it. Among the highlights from the twins artwork shall we call it? The Bunny Bee could eat entire cans of cranberry sauce if I let him, I'm sure of it. Proof of how much he loves it? A drawing of him - with a king's crown on - licking up cranberry sauce from a platter. And the Doodle Bop. Who I swear watches a total of 4 kids channels only. 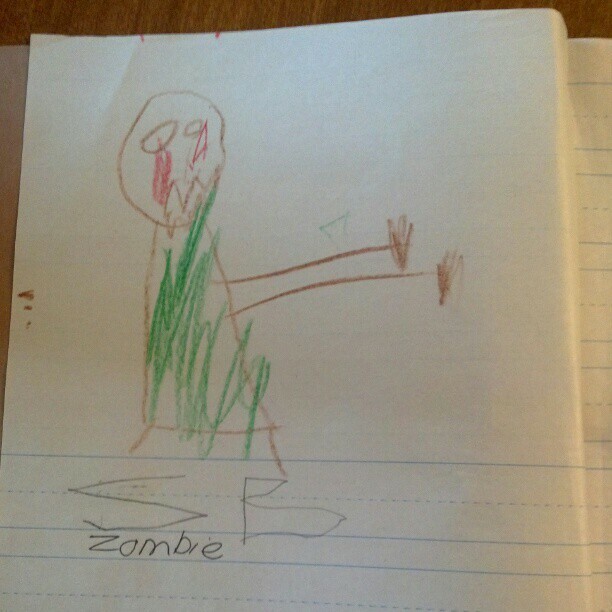 A zombie. 'Bleeding from his eyes Mommy!' And he was so.freaking.proud.